Touch a plant that existed in the time of dinosaurs! 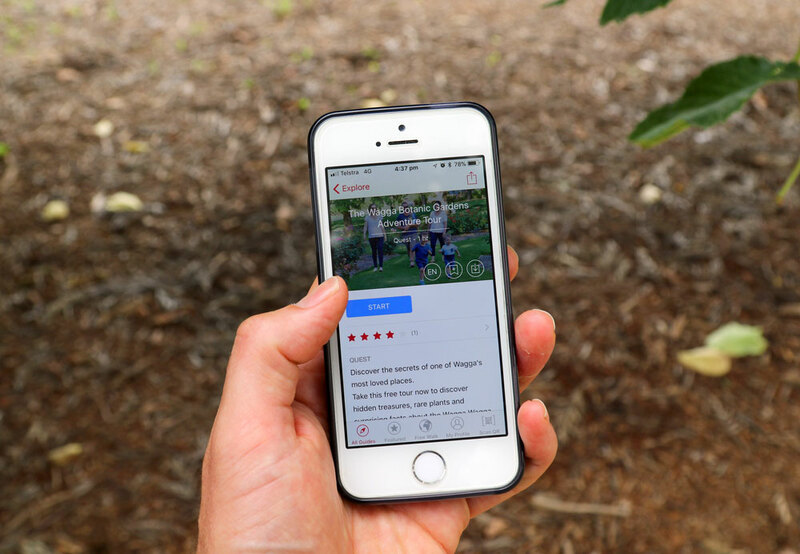 The Wagga Botanic Gardens Adventure Tour is a free, app-based adventure tour that will help you discover hidden treasures, rare plants and surprising facts about Wagga Wagga's beautiful Botanic Gardens. After installing the tour to a smartphone, you will roam through the gardens, solving mysteries and earning points along the way. This tour is suitable for children and adults, and takes around 60 minutes to complete. If you don't finish it all in one go, don't worry - you can return at a later date to continue the tour where you left off. As participants complete challenges, new locations are unlocked and the tour progresses. 3. Tap Start and navigate to the first checkpoint (Rainforest Gully), and follow the instructions to begin your adventure! Additional checkpoints will unlock as challenges are completed. 60 minutes, with a rest/toilet stop after approx 30. The Botanic Gardens Adventure Tour has been created by Museum of the Riverina as part of the 50th birthday celebrations of the Wagga Wagga Botanic Gardens in 2018.